Did you find a mailer in your post office box? In 2018, we distributed our first community mailer. The goal behind the mailer distribution was to raise awareness about local events and to bring more residents together to support local non-profits and organizations. The cost associated with executing an Every Door Direct Mailer of this kind is a major inhibitor for many organizations in the community. 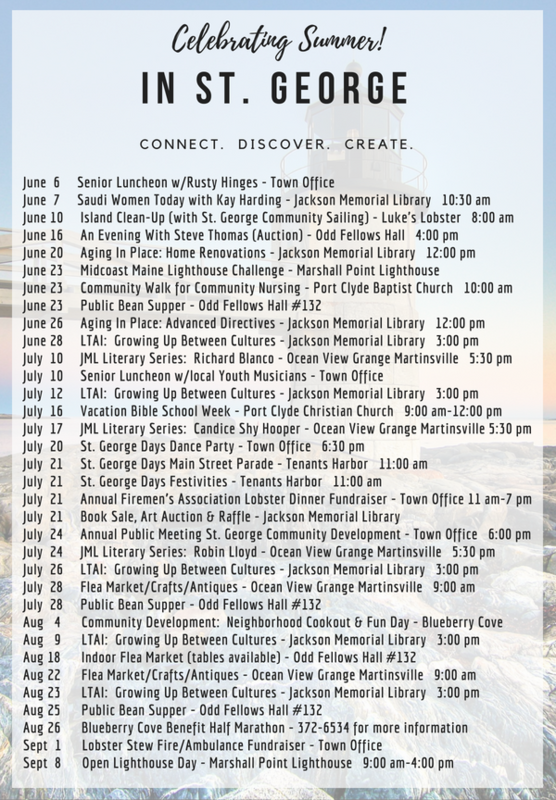 The St. George Community Development Corporation felt that this calendar paired nicely with the St. George Business Alliance‘s yearly Visitor’s Guide. 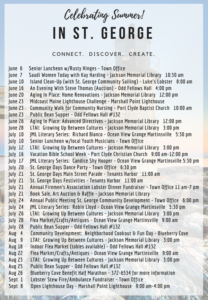 It wasn’t easy to get every organization on board to participate and we learned rather quickly that many organizations didn’t have their summer calendars ready by our May 15th deadline for submissions, At the end of the project, although with a few mistakes, we were able to get a pretty comprehensive list of events out to the community. Also featured on the mailer are two partner organizations in St. George. Neighbor to Neighbor provides free rides for St. George residents and the St. George Business Alliance is a great resource for finding businesses and services in St. George. Because these local nonprofits did not have individual events to add to the calendar but both provide great services in our community, they were featured on the back of the mailer. Unless there are some major complaints from the community, the St. George Community Development Corporation plans to invest in an EDDM mailer annually.